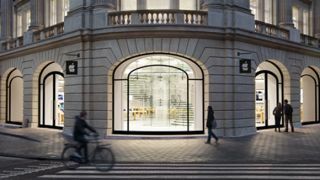 Apple has reportedly invested in some new supplier relationships as it struggles to meet demand for iPhones and iPads with its current lot. The word comes from 'supply chain sources' over in Asia, who told the WSJ that Apple is scrambling to meet the public's insatiable demand for iPads and iPhones. The iPhone 5S is apparently in short supply because Apple's main manufacturer keeps messing up and building defective models. The iPad mini 2, which isn't even out yet, is also facing supply problems with many eager tablet fans worried that there won't be a Retina display-toting 7-inch iPad under their trees this Christmas. And Apple's go-to plant Foxconn is still under a lot of scrutiny over its largely questionable working conditions. Little wonder, then, that Apple would be looking to widen its supply net - although the company itself will not comment on the manufacturing situation. Still, if all goes to plan, we should see fewer iPhone and iPad shortages in 2014 as Apple broadens its product ranges.